Next time you visit us in September at TDHK, make sure to drop your name into our monthly drawing for A Letter to My Dog, by Kimi Culp, Lisa Erspamer and Robin Layton. 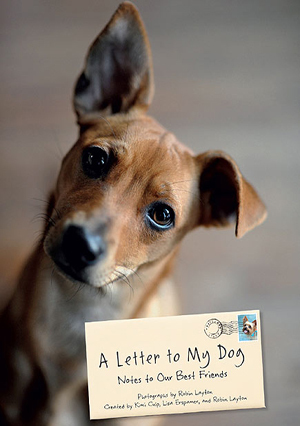 It is a heartwarming book featuring stunning photographs and deeply personal letters written by a variety of dog lovers to their beloved, four-legged friends. This special collection of touching letters and magnificent portraits is a celebration of the loyalty and unconditional love we have for our precious pups. This book includes letters from: Oprah Winfrey, Tony Bennett, Kristin Chenoweth, Fran Drescher, Hilary Duff, Chelsea Handler, Mariel Hemingway, Tyler Perry, Maria Menounos, Cynthia McFadden, Robin Roberts, Willow Smith, Michael Vartan and more. Click Here to view the “A Letter to My Dog” web site which highlights additional stories and personal letters.